Rayburn Cockman, of Benton, passed away Monday, April 15, 2019. He was born in Mountain Valley Community outside Hot Springs on May 17, 1928 to the late Charles and Opal Cockman. In addition to his parents he was preceded in death by his wife of 65 years Wilodene Reece Cockman, his brother, Charles Cockman and sister Margaret Ragsdale. Rayburn graduated from Fountain Lake High School and attended Arkansas Technical College receiving his Associate�s Degree in Business until drafted in the U.S. Army during the Korean War. He was stationed in Panama during the construction of the Panama Canal. After discharge from U. S. Army he worked and met Wilodene Reece at Mountain Valley Water Company. Rayburn helped build and then worked at Alcoa Plant as a chemist for 35 years. He also did landscaping, dozer, and backhoe work for many years. When out for Sunday drives he would often point out many places where with pride he would show us his handiwork. Rayburn was very active in his church, Calvary Baptist, where he was a member for over 65 years. He loved his church and served as Chairman of the Building Committee in the construction of Calvary at its current location. He was much loved and admired by his family. He truly loved his family and was always there to support and guide each one putting the needs of family above personal needs. Two daughters and sons-in-law, Tamara and Hal Lammey of Benton and Phyllis and Vernon Brooks of Royal survive this special man. Eight grandchildren, Adrianne and Paul Woolley and Parker and Christine Brooks, Shaun Lammey, Julia Sexton, and Kevin and Kim Lammey; seven great grandchildren, Preston and McKinley Sexton, Jackson and future great grandson Bennett Lammey, Ava, Madelyn, and Everett Lammey; sister and brother-in-law, Patricia Cockman and Elbert Ragsdale and many nieces and nephews. Precious caregivers, Alyssa and Jessi Caldwell and Dawn and April Folsom also survive him. Visitation is from 6:00 to 8:00 p.m., Thursday, April 18th at Roller-Ballard Funeral Home in Benton. 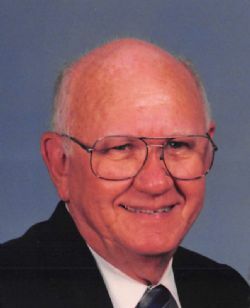 Funeral services are scheduled for 11:00 a.m., Friday, April 19, 2019 at Roller-Ballard Funeral Home, 306 S. Main, Benton, AR with Bro. Cliff Springer officiating. Interment will follow in Forest Hills Memorial Park in Alexander, AR. Pallbearers are grandsons, Parker Brooks, Shaun Lammey, Kevin Lammey, Shaun Sexton, and Paul Woolley and nephews, Ben Williams, Todd Taylor, and Brett Story. Memorials may be given to Calvary Baptist Church or Gideon�s International. Click Play below to view the Video Memorial for Rayburn A. Cockman.